Sato Racing Rear Sets are made from high grade billet aluminum anodized in a stunning Black or Silver finish. 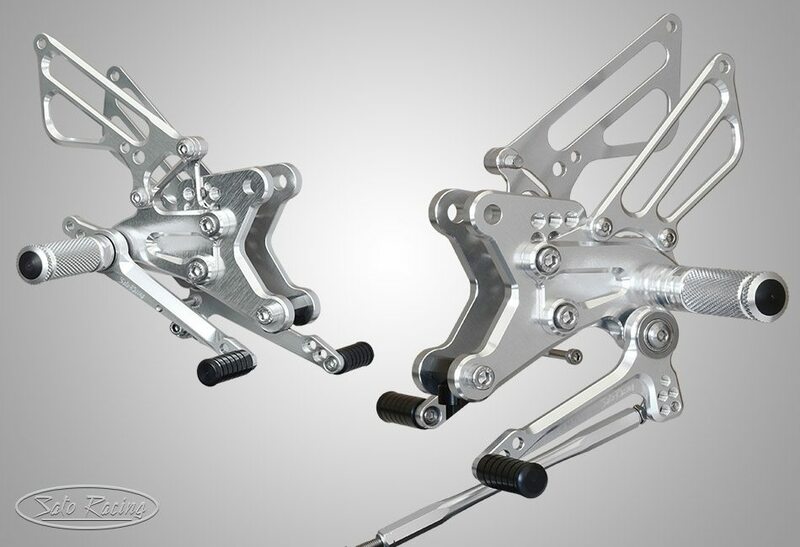 The shift and brake pedals feature double stainless bearings for smooth, precise pedal operation. Deeply knurled footpegs provide optimal grip even in wet conditions. Choose from 5 adjustable positions in a range moves your feet more forward and a little lower compared to stock.